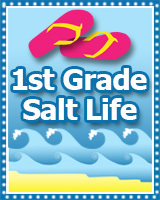 My name is Elizabeth and I sell under the name 1st Grade Salt Life! I am a 1st grade teacher in central Virginia! I’ve been teaching for 10 years and still love everything about it! I love that every day is different! If the day doesn’t go well, you always get a fresh start the next day! 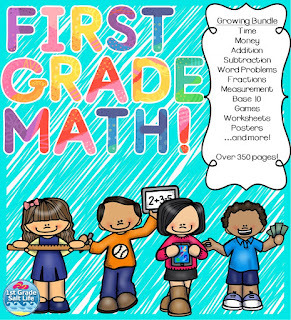 My favorite product is my Math Bundle! It’s constantly growing and everything game, worksheets, poster, etc…is something I actually use with my students, so I have the best critics around! My advice would be to just do it! Jump in and give it a try. There are a lot of resources and tons of people who are willing to help! You can do it! I came back to TBOTEMC because I love the community effort! I love supporting one another and working together!